One Same Spy Extreme license code for Iphone & Android means you can use it spy on Iphone and Android. What Is SpyExtreme Phone Monitoring Software? Our monitoring app — a powerful tool that is easily installed on any Android & Iphone device — can be used to keep your family, business and personal information safe. Once installed, SpyExtreme silently takes total control of the Android & Iphone mobile phone or tablet — letting you spy on all its communications and activities from any computer with a web browser or our first-of-its-kind mobile viewer app ExtremeVIEW. What Can SpyExtreme Phone Spy Software Do? With over 150 features, SpyExtreme delivers information no other spy app for iPhone can — including monitoring all forms of messaging, such as SMS, email and popular IM chat applications like Facebook, Viber and Skype. 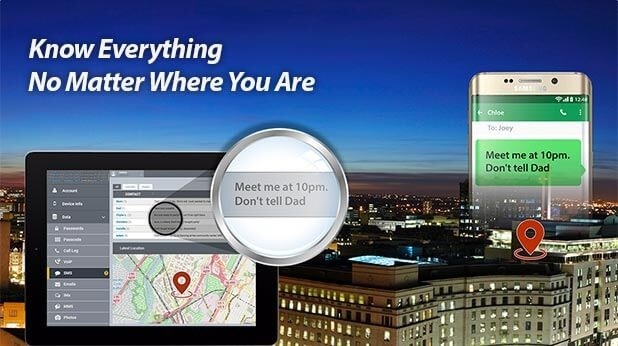 SpyExtreme lets you be like a fly on the wall, letting you view GPS locations, photos, videos, and web history — Phone keylogger is also included to let you know exactly what is typed on the target device. And SpyExtreme is unique — having the ability to listen and record live phone calls & phone surroundings, as well as VoIP calls made on Skype, WhatsApp, Viber, and many more. You won’t find these features anywhere else. So, if you're a parent or employer with responsibilities for the way your iPhone devices are being used — then only SpyExtreme can give you the answers you need. SpyExtreme supports the capture of pictures, audio, video, calendars, notes and much more. It also offers call and ambient local recording, as well as the ability to remotely control the camera. We can promise you that no other product offers more. 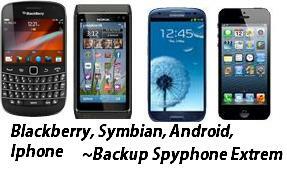 SpyPhone Extreme PRO is software that you install on a mobile phone. Remotely open your phone's microphone to listen and record everything that’s going on in the surroundings. Listen and record live phone calls as they happen, for training, quality control, or even archiving your own conversations. Track a phone's location and replay its historical movements. Export paths for use in other applications like Google Maps. Spy on over 11 popular Phone messaging apps, including WhatsApp, Facebook Messenger, Viber, Skype, Hangouts, Tinder, and many more. View iPhone contacts and calendar entries, giving you a complete backup for future reference. View iPhone browsing history and bookmarks, inlcluding URLS, date and time of visit, giving full visibility of browsing history. List all installed apps, installation date, and other details. View usage history including launches, closures, and uninstallations. Remotely activate the Phone camera to take a photo or video, which will be uploaded to your web portal. Access all media files on their phone. Get all images they take or that are already on their phone. Hear all audio and voice memos. Our keylogger lets you see everything that’s typed on the keyboard. Discover search terms, notes, and more. Set alerts for calls to and from specified numbers, 'hot words' in SMS chats or emails, or if location boundaries are breached. Choose visible or 100% undetectable mode. Protect from rogue employees and increase safety of your dependents. SpyExtreme captured data is uploaded to to your private web account. What features do I get with Portal Viewer? Portal Viewer has several important features that make using it more convenient than logging in to your online portal from your computer. How can I download Portal Viewer?